Amid reports of Flipkart going through rough patches, the company has released the customer base numbers, which brings Flipkart into a complete different spotlight. Flipkart, the leading Indian e-commerce firm, has crossed the milestone mark of 100 million registered customers on its platform. With this, Flipkart has become the first company to reach this milestone in a single country outside the United States and China. Flipkart has doubled its user base over the last year and added 25 million users in the past six months alone. With 100 million users, Flipkart’s registered customer base stands at around 63 percent of entire wireless and wireline broadband connections in India. The figure released by TRAI in September 2016 put the number of broadband connections in the country at just a little under 160 million. This year, the Bangalore-based e-commerce firm has introduced a slew of customer initiatives and innovations such as No Cost EMI, Easy Product Exchange, India’s first UPI-based mobile payments app- PhonePe and Flipkart Assured– India’s first Quality and Speed assurance program. Last month, in a nationwide consumer study named ‘E-tailing Leadership Index’, conducted by research firm RedSeer Consulting, Flipkart emerged as India’s most trusted and the most preferred e-commerce platform. Joining the above mentioned consulting firm, The Morgan Stanley report on E-commerce in India released in February 2016 and the Bank of America Merrill Lynch Report released in September 2016 confirmed Flipkart as the number one e-commerce company in India with a market share of 45 percent and 43 percent respectively. 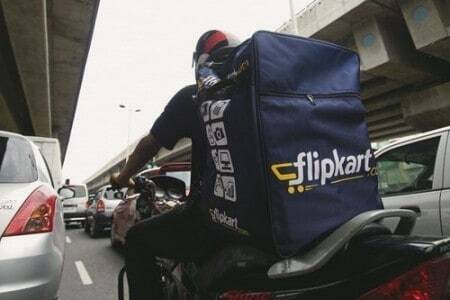 The report further said that by 2019, Flipkart will continue to lead with a 44 percent share of the e-commerce market.